Here are 4 simple neck pain exercises to completely get rid of neck pain once and for all. This easy to do exercise is designed specifically to help keep your spine in place by activating the shoulder and upper back muscles. Simply sit on the floor with your back against the wall with your legs straight and your feet up (so that you form an L with your body). Keep your spine erect, your back straight and your shoulders back and relaxed. Without leaning forward, reach for your toes and grab the tips. Make sure your back is still firmly against the wall, and hold that position for 3 minutes. But when this neck pain exercise is done correctly, what we are actually doing is unlocking your shoulder girdle, which in most cases is already stuck in a protracted position (and is thus causing you pain!). Start by getting down on all fours, with your shoulders and wrists in alignment, as well as your hips and knees. Then, walk your hands out in front of you about six inches, then shift your body forward so your shoulders stack right over your wrists. Your hips should now be about six inches in front of your knees. Now, and this part is important, let your head hang slightly and release any tension. The next step is to relax your stomach, and allow your low back to arch. Hold this position for 3 minutes, and don’t let your elbows bend at all! This one actually feels great! But make sure that you take nice, deep breaths while you’re in this position. When done correctly, you’ll begin to notice a release of tension in your neck, jaw and upper back. Start by lying on the floor with your feet pressed together but your knees kept apart. Let your back slowly arch off the floor naturally. Relax and stay there for 3 minutes. This simple exercise is meant to realign your head onto your shoulders as it should be, to allow the muscles in your neck to release. This one will be a little longer than usual, but it’s important to stay in this position until your back settles for about 5 or 10 minutes. Start by lying on the floor, and put your legs up on a chair or couch while keeping your knees at a 90 degree angle. Then, place your arms on the floor on either side, with your palms facing up, and lay there for 5 to 10 minutes. Try these simple neck pain exercises for the next week and you’ll marvel at how much better you feel! 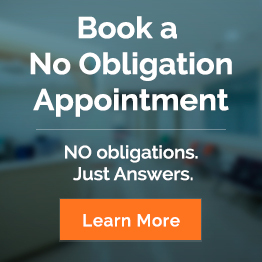 If you’re really in pain and want some relief today, then simply book a no-obligations appointment with us at Body Restoration. You’ll be amazed at how great you feel!